This morning, Pope Francis released a paper calling for swift action on climate change, urging not only people to take action, but God as well. 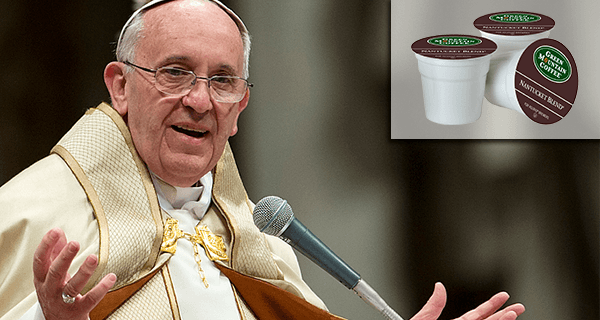 Now, after years of using K-cups to brew a quick, easy cup every morning, the Lord has been asked to switch to a more environmentally friendly method of coffee making. For more on faux pas from the big guy upstairs, check out God Forgets America, Blesses Wrong Country.